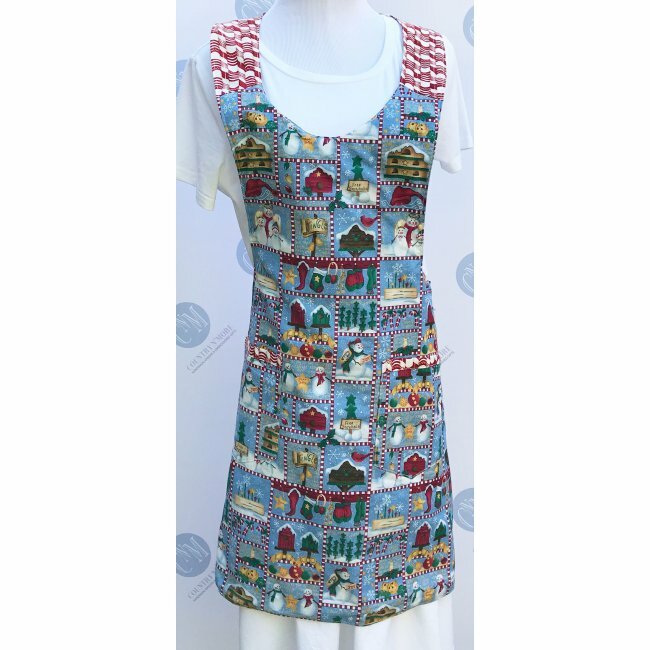 This winter vintage apron has snowmen, snow covered birdhouses, cardinals, and Christmas stockings. The pockets have been made from the same print, but the upper part of the pockets have been trimmed with candy candy fabric. The yokes and apron ties are made from red candy cane fabric. The reverse side of this apron is made from another snowman fabric. 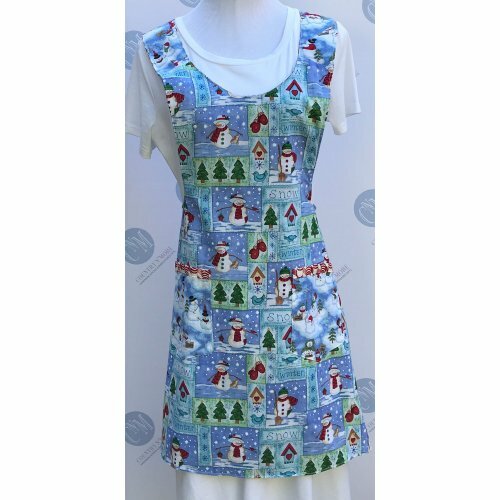 The pockets have been made from the same print and also have been trimmed with the candy cane fabric. The yoke and straps are made from the candy cane fabric as well. Measurement of yoke on bodice measures 10 1/4 inches wide. Measures approximately 34 inches long from the neckline to the bottom edge of the apron. Measurement at waist is 27 inches wide.